We are 11 days into the 2016 new year - as we are planning for future events for the year we are noticing one trend sneaking into event decor ...C O P P E R! I can honestly say this is an exciting trend- it's time to shake up the "all gold everything" look with a beautiful hue. It pairs perfectly with greenery + clean, crisp neutrals that will stand the test of time! 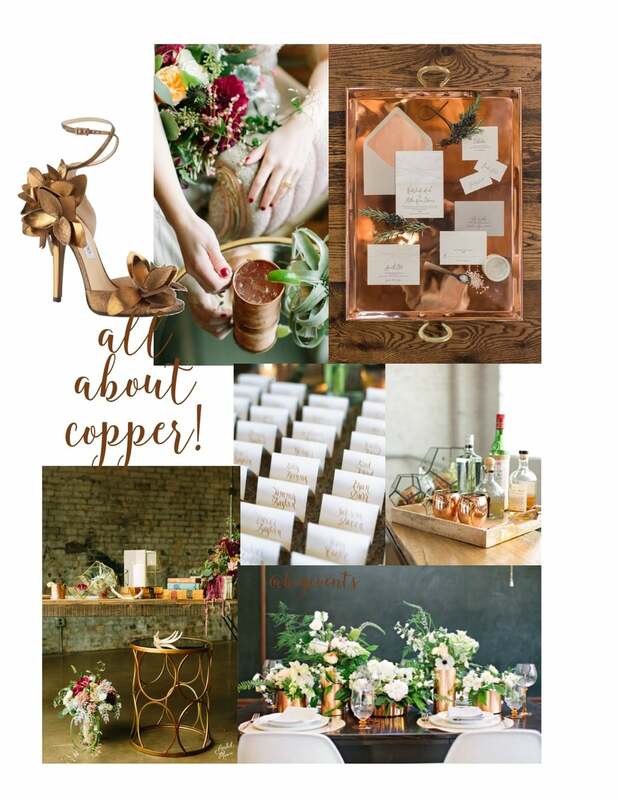 So, brides: we approve...we are all about copper!